Automotive Testing Expo Europe will once again run at the Messe Stuttgart and will feature record numbers of exhibitors. Over 330 exhibiting companies will be out to demonstrate that their products are able to help with the ultimate aim of eliminating recalls. 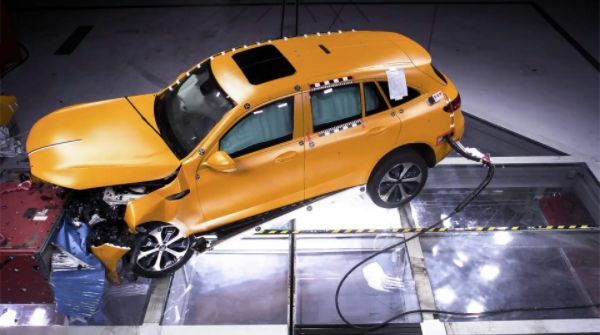 The show will continue to be THE launch pad in Europe for new technologies within the area of automotive test, evaluation and quality engineering. International exhibition of specialist automotive components and automotive supply chain partners. Companies from around the world will be at the expo to discuss how they can participate in cost reduction within supply chains, and how they can offer new, alternative, cost-effective manufacturing and supply solutions. Everything you need to conceive, develop and validate your autonomous vehicle. Autonomous Vehicle Technology World Expo will showcase everything you need to develop your intelligent vehicle, from the obvious autonomous vehicle driving software, sensors and communication systems, to tyres and wheels for autonomous vehicles, or complete vehicle concepts. The Autonomous Vehicle Software Symposium is the world’s first conference dedicated to specifically addressing the challenges and opportunities of developing AI and software platforms for autonomous and self-driving vehicles. The two-day event is an absolute must-attend conference for all involved in autonomous vehicle software development. The IAA offers more than just looking at and sitting in new cars. Numerous brand new models from various makers will be available for test drives including freeway driving and Frankfurt’s inner city. An expert will be present during each test drive to answer questions and give advice. The challenging off-road circuit will set visitors’ pulses racing as experienced professionals drive them over extreme inclines, lumps and bumps, and pot holes in off-road vehicles and SUVs. Testing Expo - Automotive - China is the place to discover new testing, development and validation technologies for components and complete vehicles. From NVH measurement tools, crash-testing services and durability/quality validation technologies to vehicle dynamics tools and NDT technology, Testing Expo - Automotive - China is China's largest, most significant vehicle testing exhibition, and boasts a free-to-attend conference too. The success of the North American automotive industry is reflected in the fact that Automotive Testing Expo, Novi, Michigan in 2018 is set to be even bigger and better than in recent years! Over 300 exhibiting companies will be out to demonstrate that their products are able to help with the ultimate aim of eliminating recalls. In addition, co-locating with Automotive Testing Expo will once again be Engine Expo and Automotive Interiors Expo. The international show that offers exhibitors and visitors an unrivalled opportunity to network with likeminded engineers and R&D chiefs. More than 130 exhibitors will display their very latest products that are all improving vehicle reliability, durability, safety and quality. Automotive Testing Expo India is a must-attend event for any automotive test engineer.